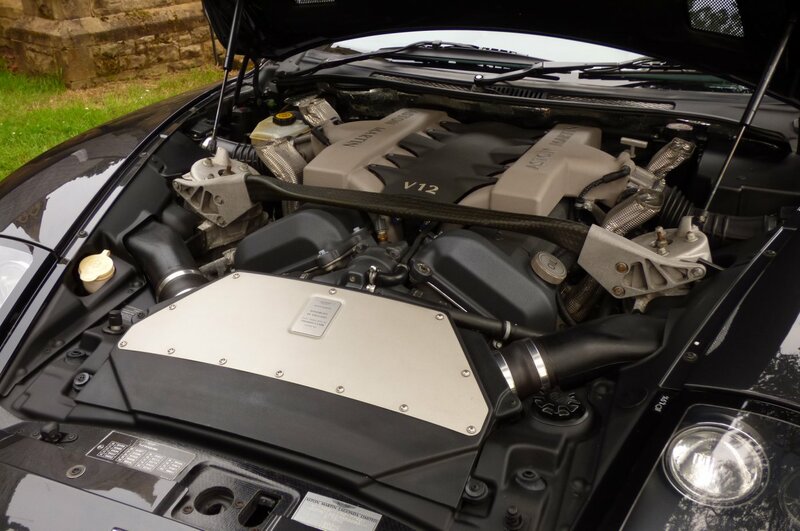 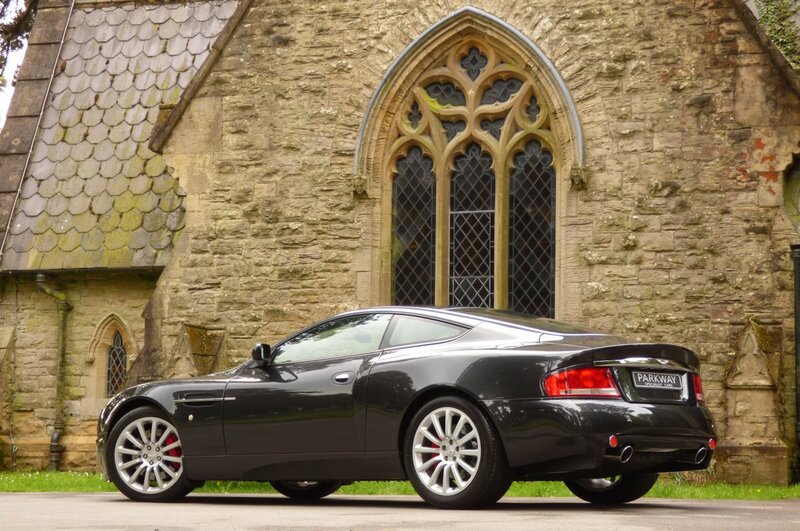 The First Generation V12 Vanquish Was Unveiled At The 2001 Geneva Motor Show And Was The Ultimate Replacement For The Then Dated Aston Martin Virage, With The Vanquish S Introduced In 2004 At The Paris Motor Show. 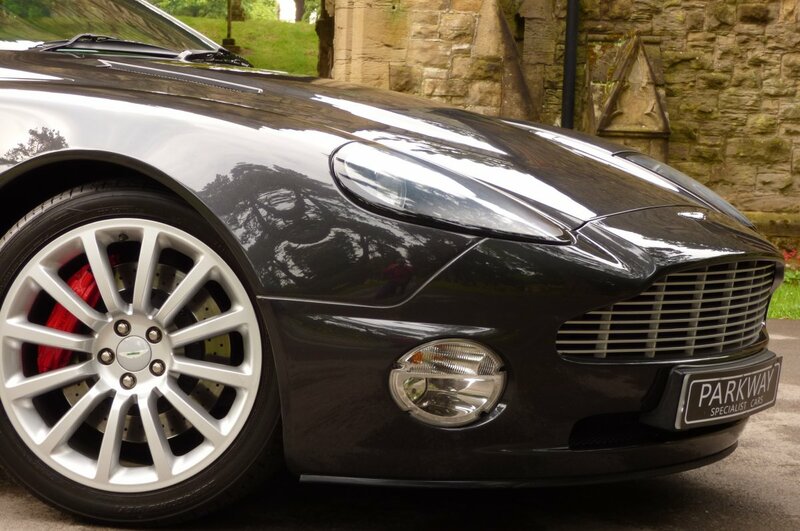 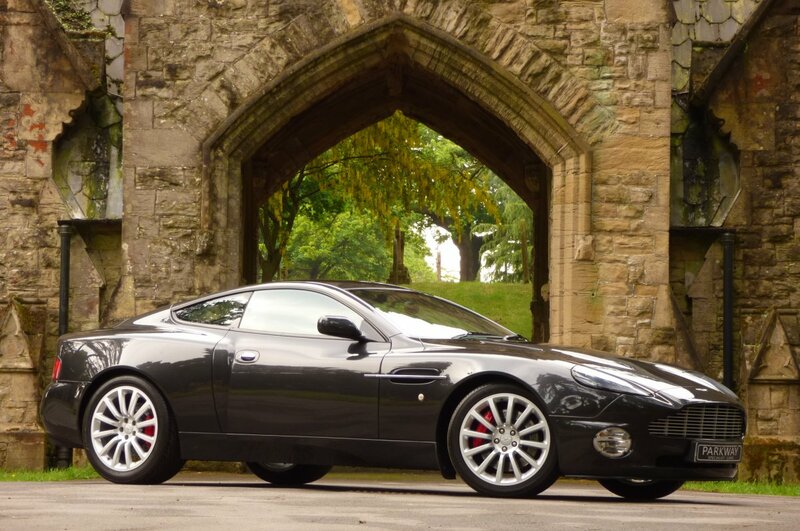 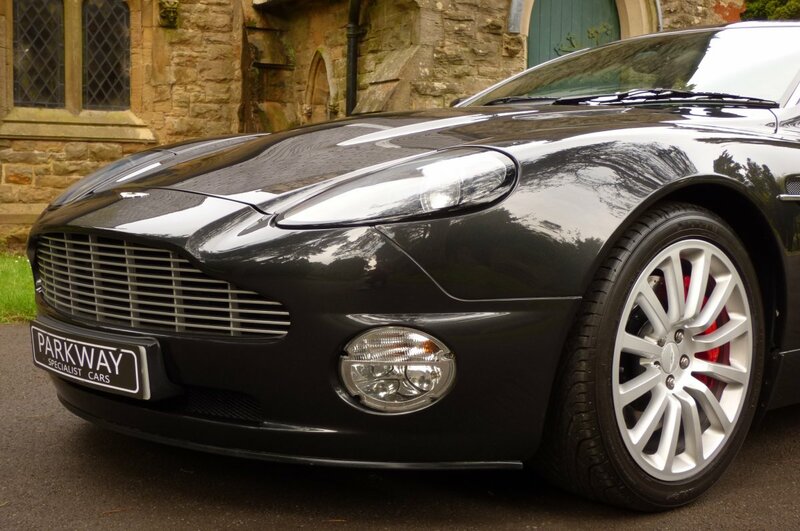 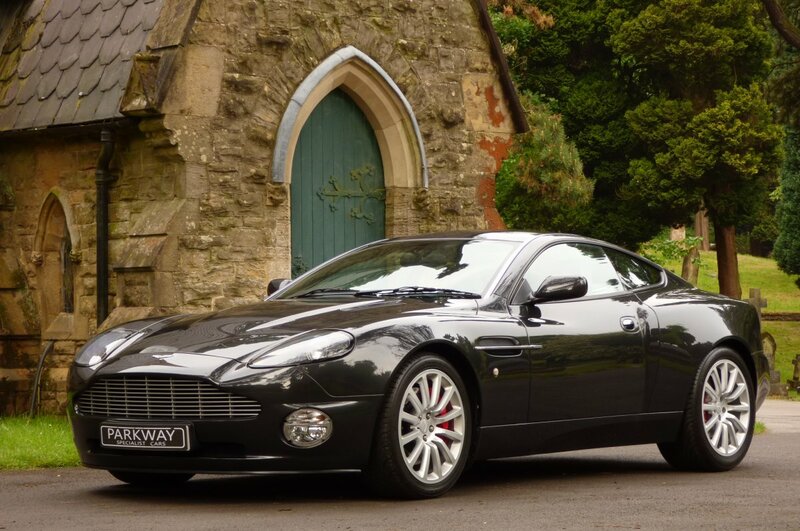 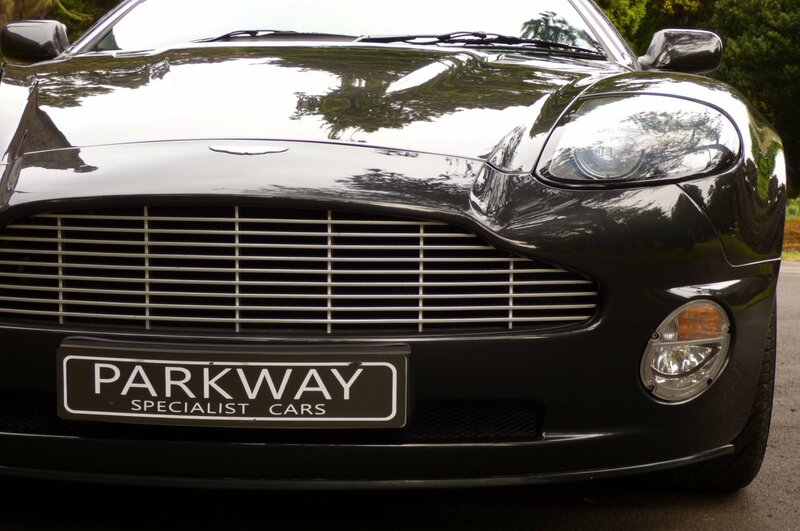 The Vanquish Brand Very Quickly Entered Into Coveted Ranks Of The Aston Martin Heritage Title, Following The Same Suit As Other Great Aston Martin Cars From The Past, With Many Recognising This Car From The 2002 James Bond Film "Die Another Day". The Vanquish Is Quite Simply Special On All Counts, With This Model Being The Last Hand Built Car To Come Out Of The Famous Newport Pagnell Factory And If We Study The Sculptured Exterior Body, Along With The Beautifully Hand Crafted Interior, It Is Not Hard To Understand Why These Models Have Only Become More Desirable On A Worldwide Scale, With Enthusiastic Collectors Now Wanting To Acquire One Of The Best Left To Purchase, With Perfectly Presented Bodies And Super Low Miles From Factory These Now Special Vehicles Had Been Fitted With The Monstrous Six Litre V12 Engine Which Generated An Astonishing 460 BHP With A Torque Reading Of 400, Which Meant That Acceleration From 0-62 MPH Would Be Achieved In Just 5.0 Seconds And Would Further Glide To A Remarkable Top Speed Of 190 MPH, So For The First Time The Aston Martin Brand Was Firmly In Super Car Territory. 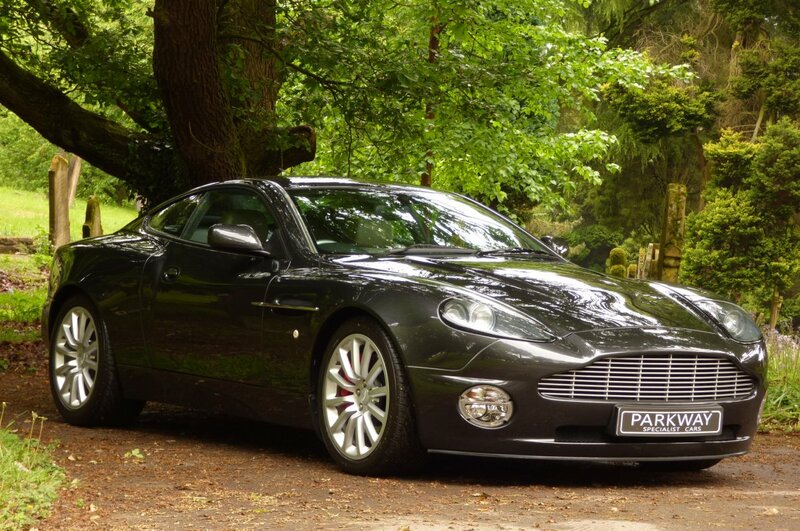 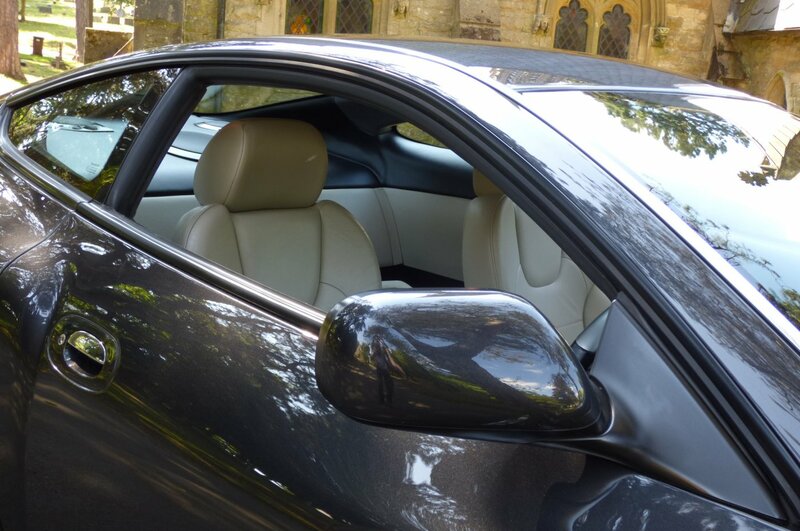 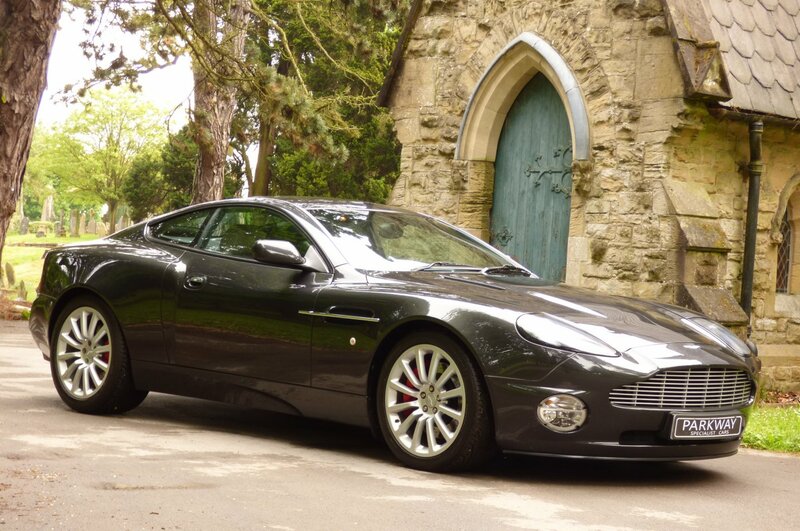 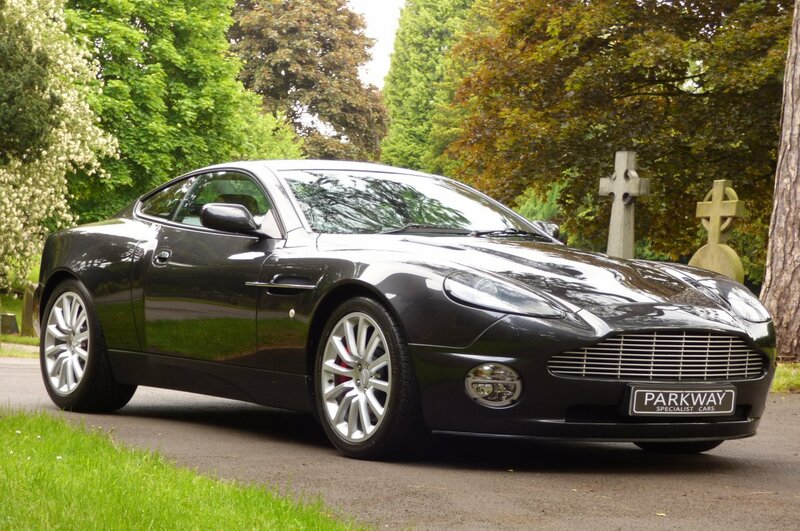 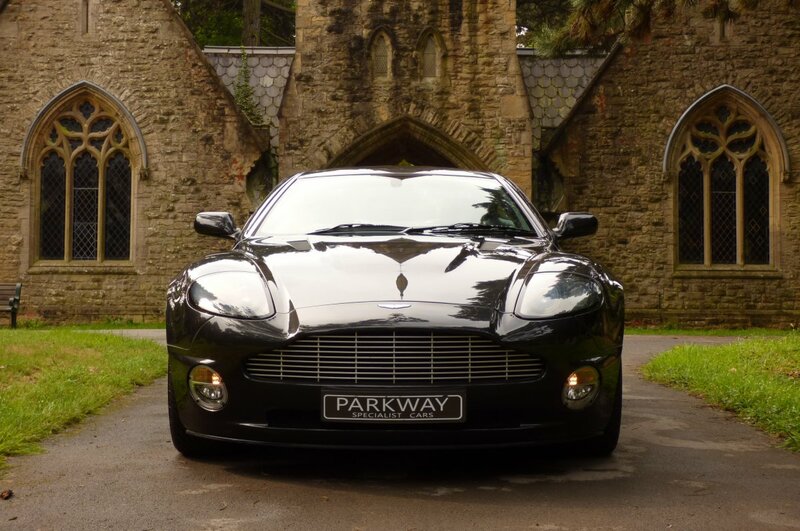 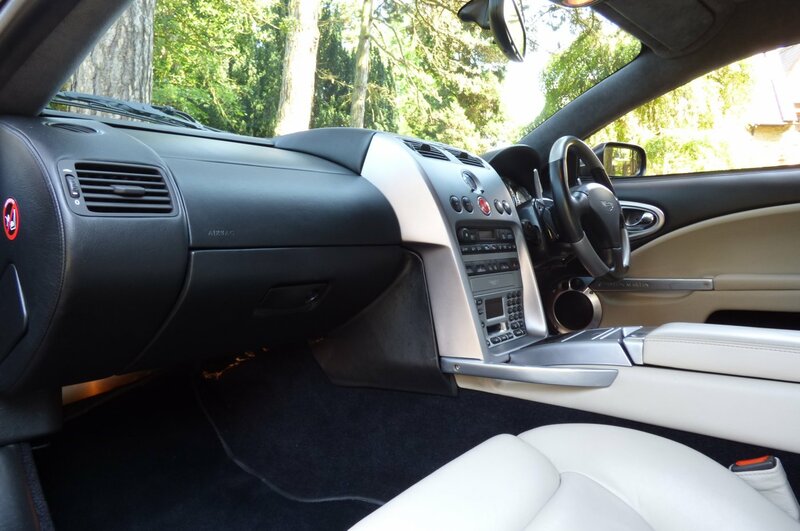 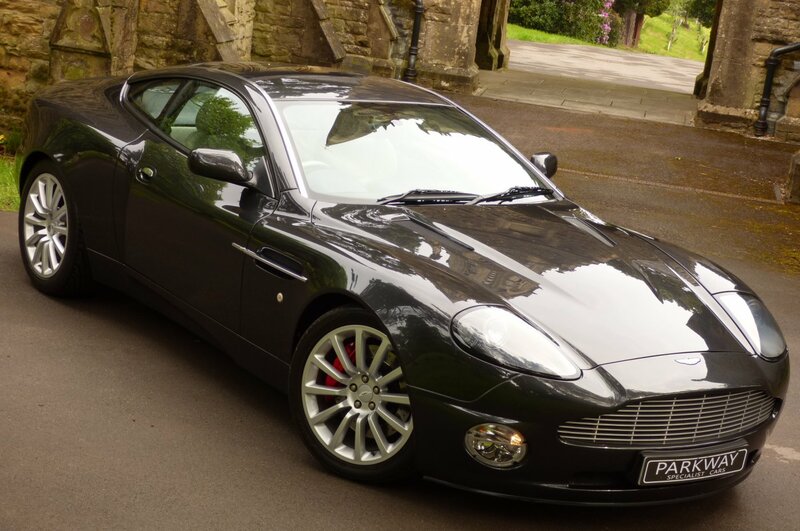 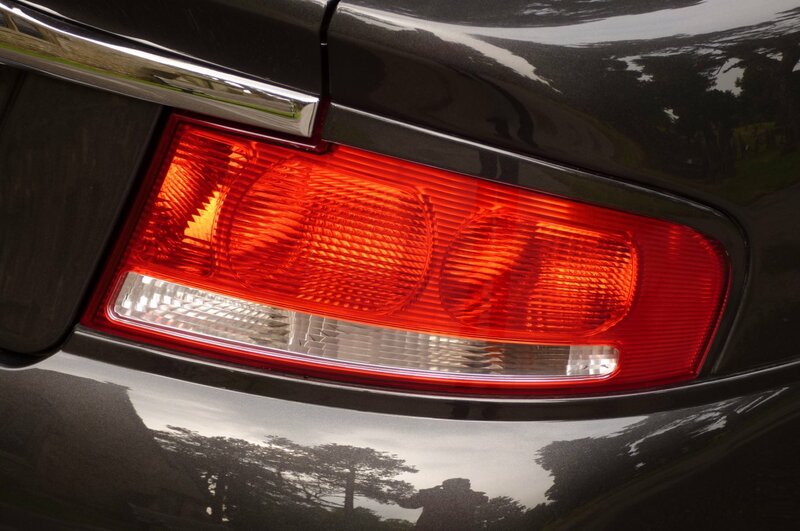 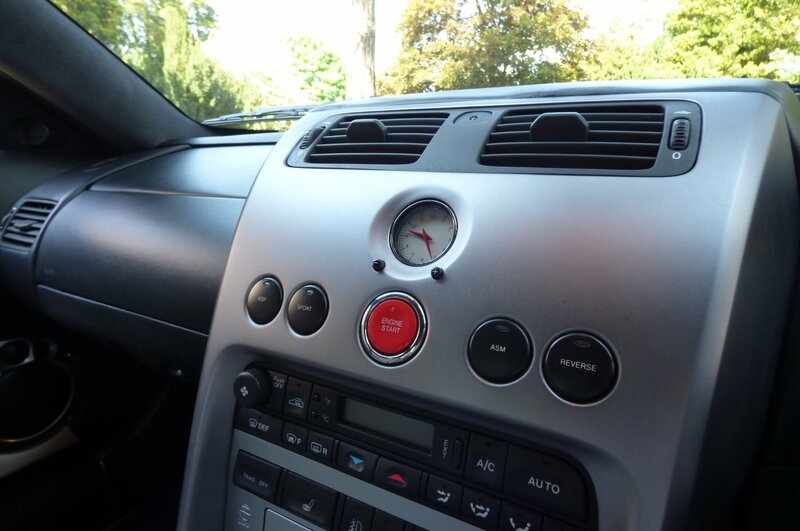 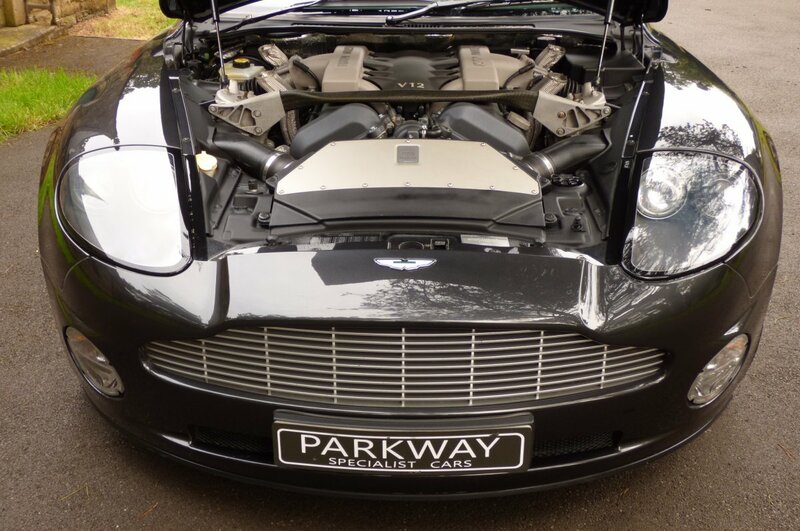 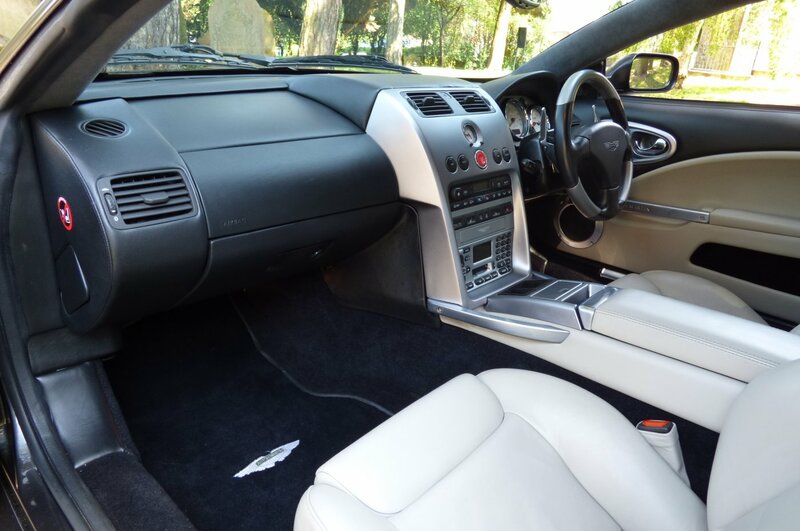 This Lovely Addition To Any Future Established Vehicle Collection Was First Supplied By Stratton Aston Martin In The May Of 2003 And Since This Date Has Only Had The Four Private Keepers From New Applied, With The Last Caring Owner Acquiring The Car In The October Of 2010. Over The Last Eighteen Years Chassis Number B500901 Has Had Just 17270 Miles Logged, Which If We Break This Down Further Is Approximately Just 954 Miles Per Annum, However Regardless Of This Incredible Current Mileage Reading Our Spectacular Example Has Been Maintained To A Remarkable Standard With Historical Past Service Visits Logged At 71, 2109, 2971, 4383, 6000, 7503, 9794, 11718, 12913, 13971, 14708, 15607 & 16790 Miles And Once Once Will Have Another Service Completed By Aston Martin Nottingham, Prior To The Next Lucky Keeper Taking Charge. 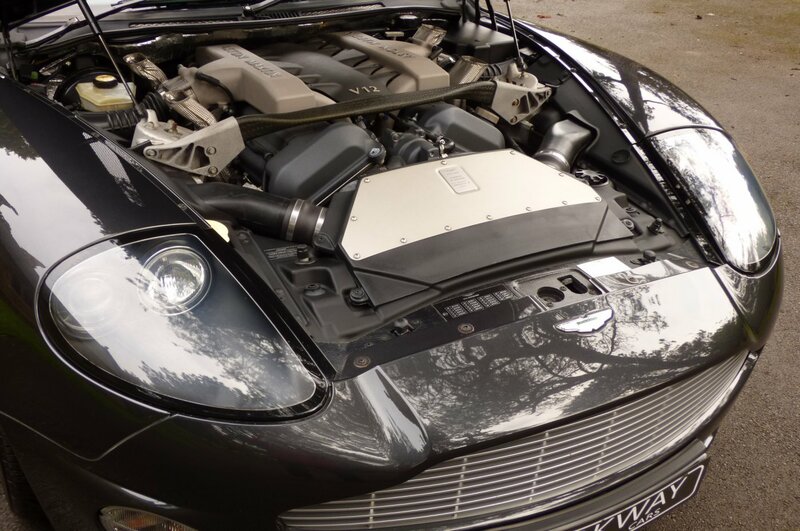 Also As Part Of The Past History We Have An Extensive History Trace Containing Many Replacement Items To Include Lower Arms, Coils Springs, Cam Cover Gasket, Anti Roll Bar Links, A Full Vanquish S Clutch Kit, ASM Pump, Magnetic Gear Box Sensors, Coolant Hoses, To Name A Few, Which All Further Increases The Cars Immense Provenance For That Next Lucky Custodian. 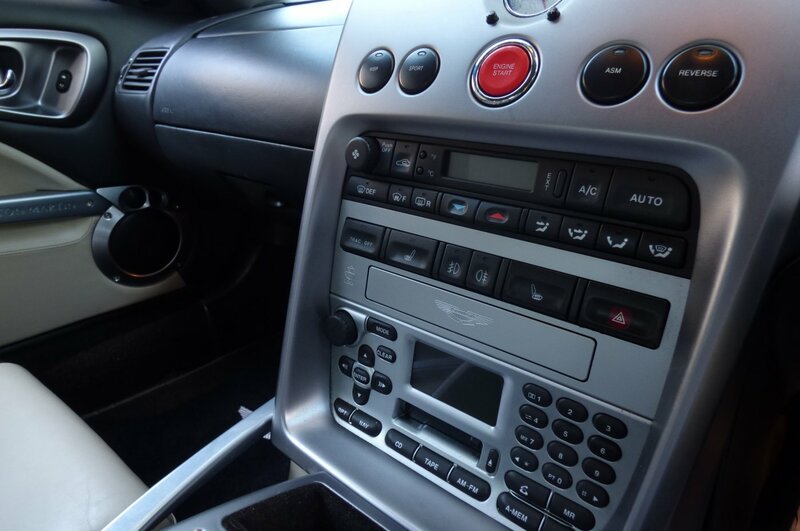 Also Once Sold The Car Will Be Presented With The Metal Bound Booklet Pack Set, A Fully Cleared Hpi Certificate, A Fully Functional Key Set And The Original Factory Build Sheet, All In Place To Keep And Cherish During Your Own Time Of Ownership. 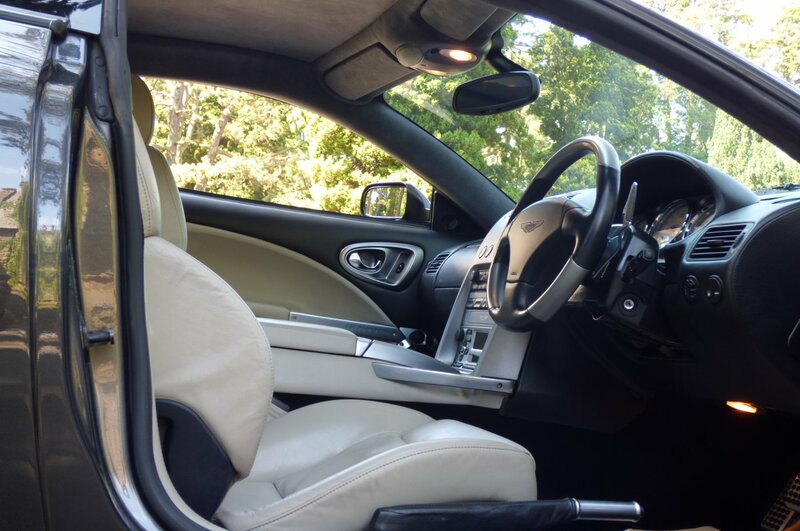 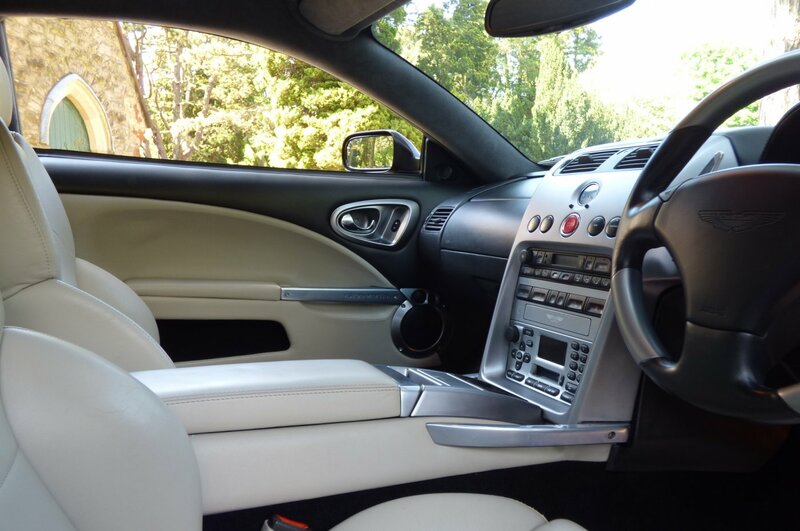 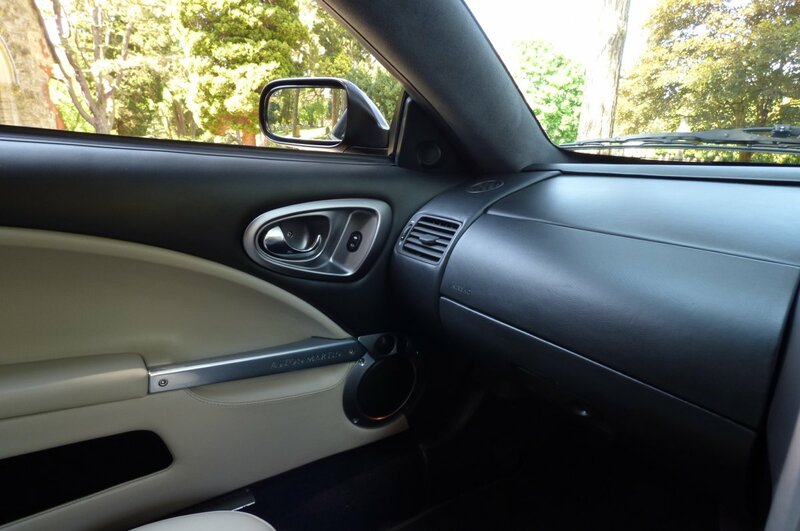 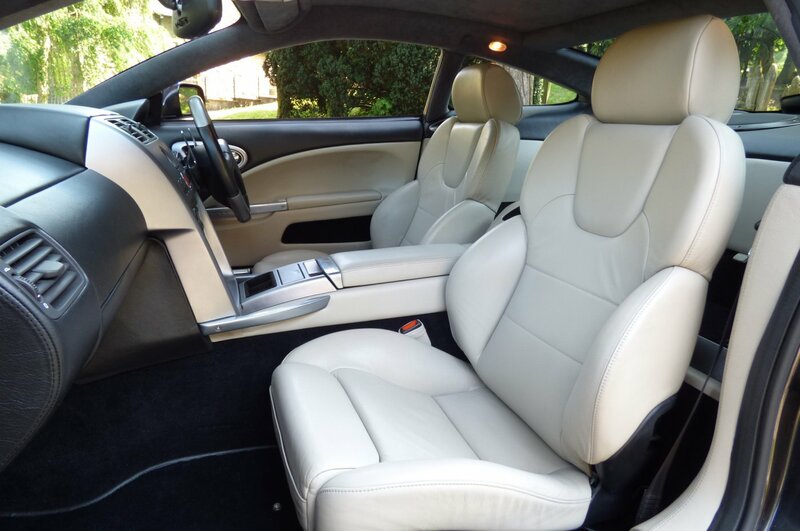 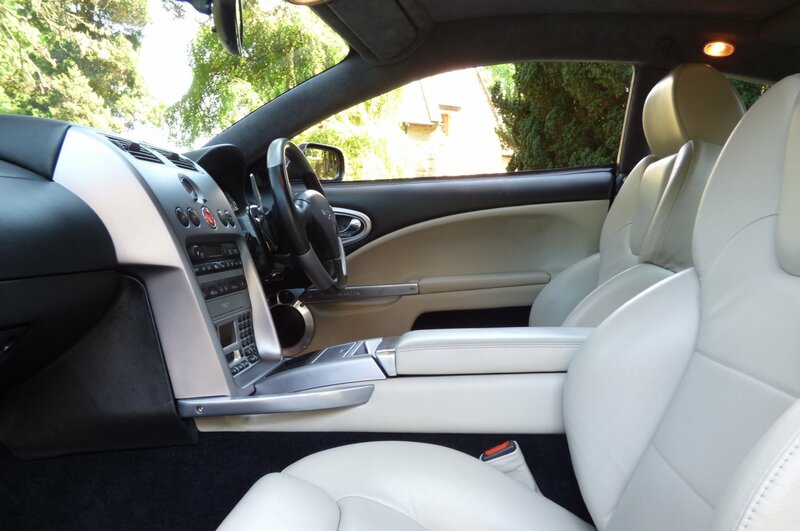 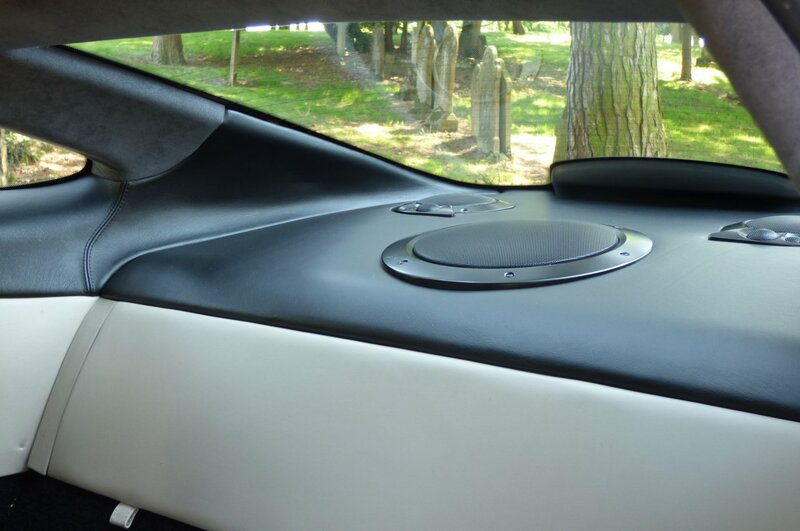 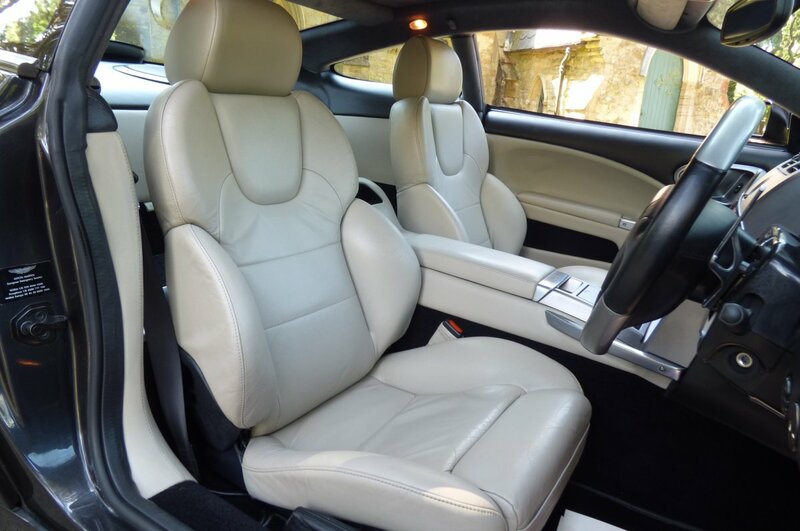 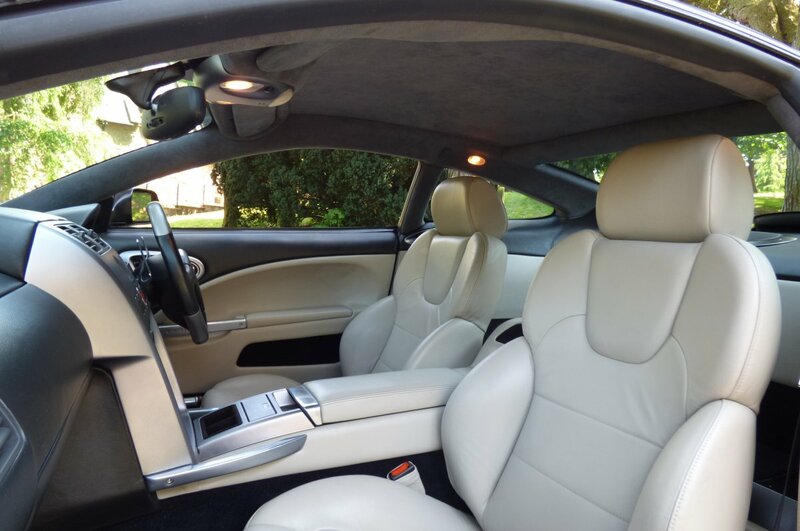 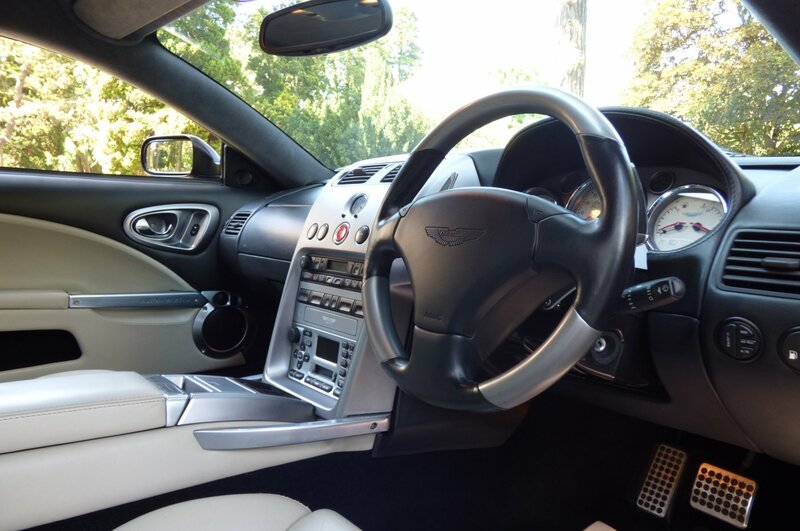 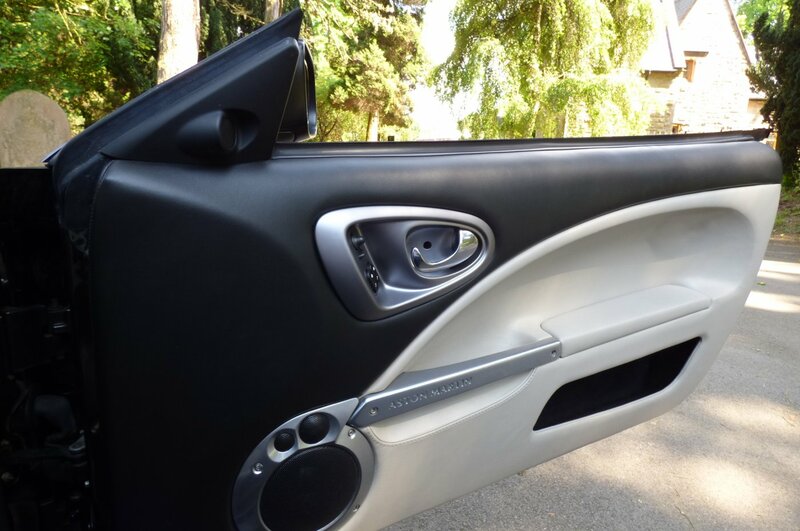 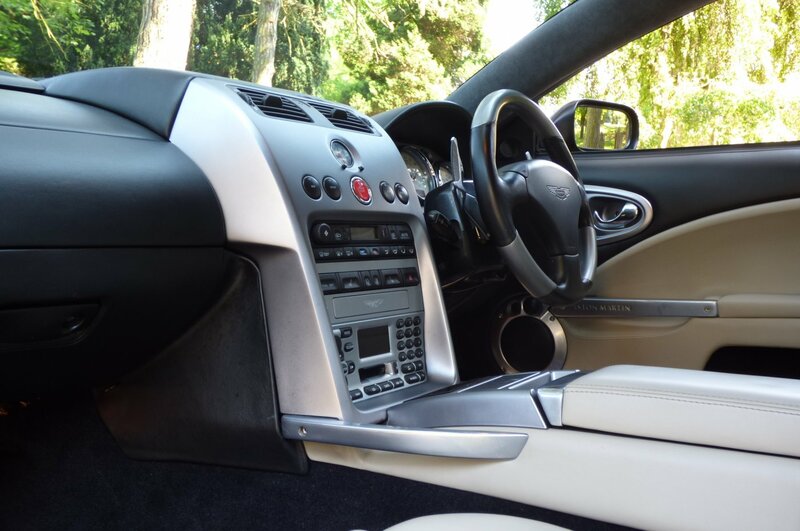 The Aston Martin Vanquish Cabin Space Offers Nothing More Than An Air Of Excitement And Exquisite Luxury, With The Use Of Only The Finest Leather Hides And Polished Turned Metals Used To Create This Truly Splendid Space. 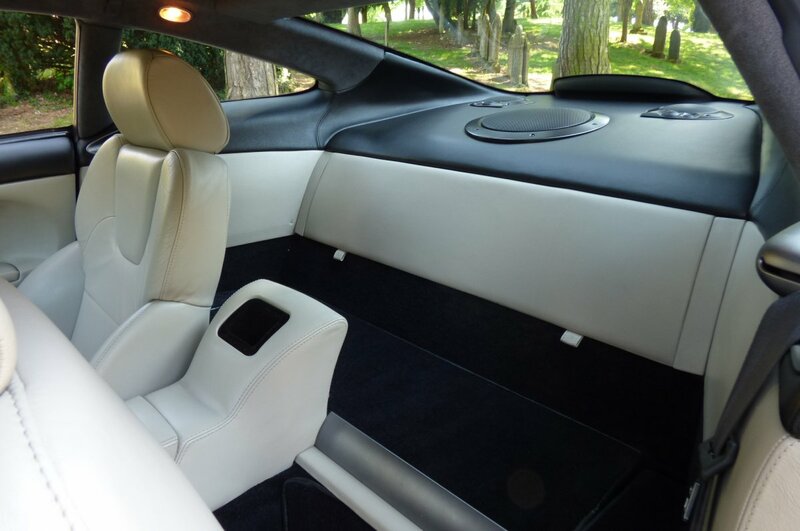 The Interior Opted From Factory On Our Car Is Finished With The Rare Ivory Stone Leather Seating Beautifully Complemented With Ivory Twin Needle Stitch Detail, The Three Spoke Two Tone Obsidian Black Leather & Platinum Steering Wheel With Metal Turned Paddle Shifts, The Charcoal Carpets That Have Been Protected With Aston Martin Over Mats, The Two Tone Stone Ivory & Obsidian Black Leather Trimmed Door Cards Detailed With The Turned Metal Aston Martin Embossed Internal Grab Handles, The Slate Grey Suede Roof Lining, The Ivory Stone Leather Bound Drivers Centre Tunnel, The Obsidian Black Leather Trimmed Dash That Wraps Around This Elegant Cabin And Finalised With The Violet Chrome Internal Inlays, That Enhances This Rather Special Environment Off Perfectly. 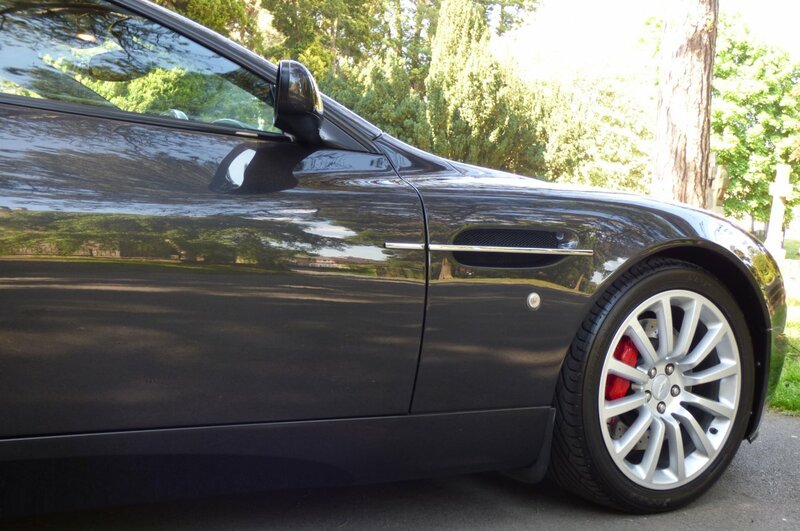 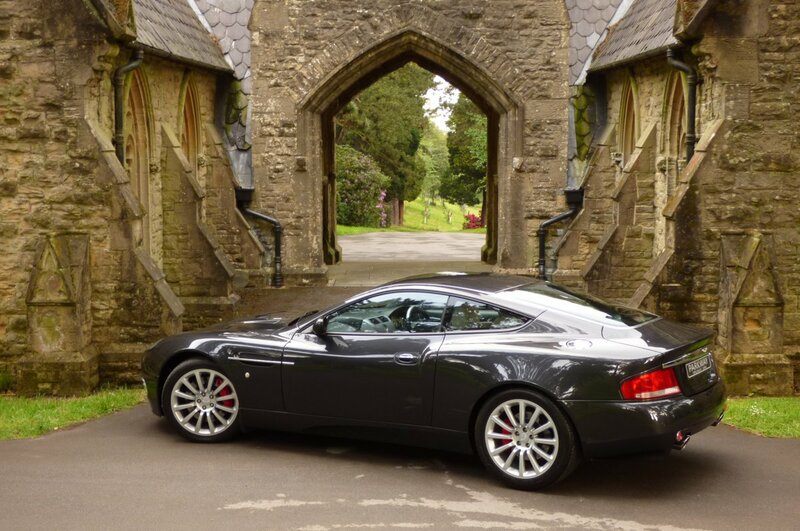 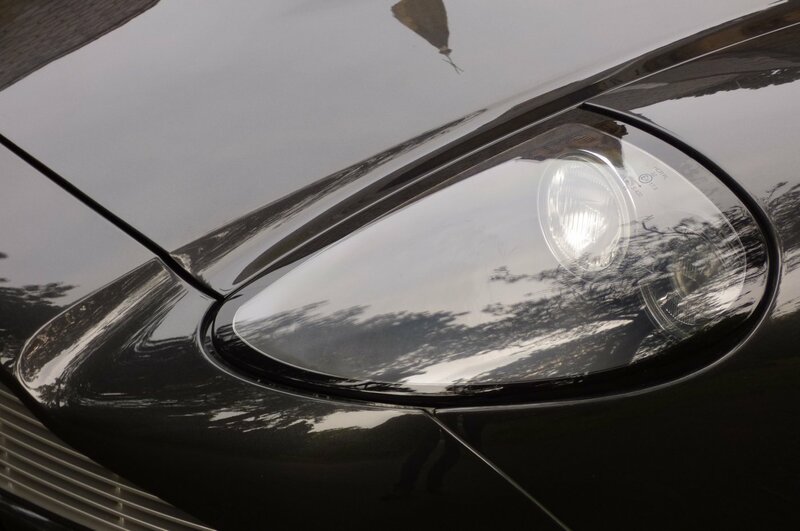 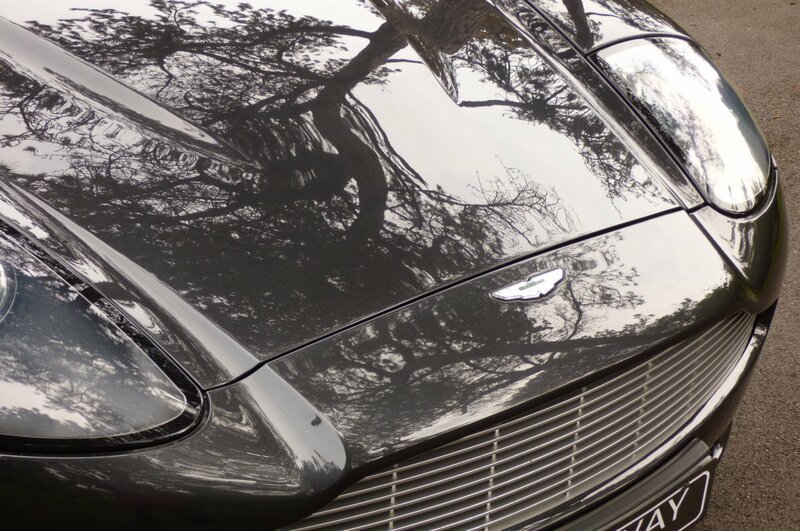 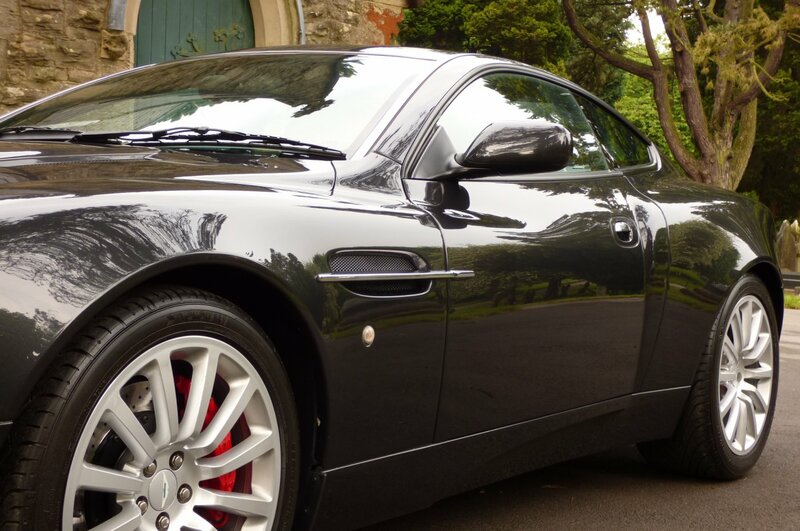 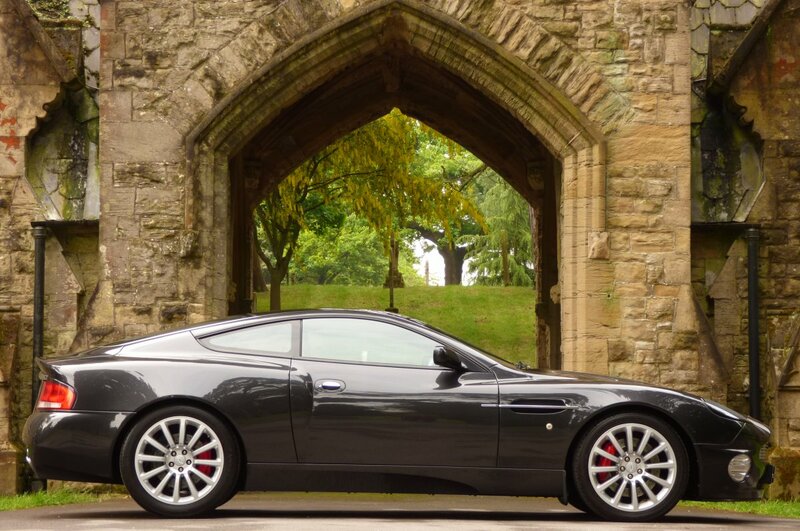 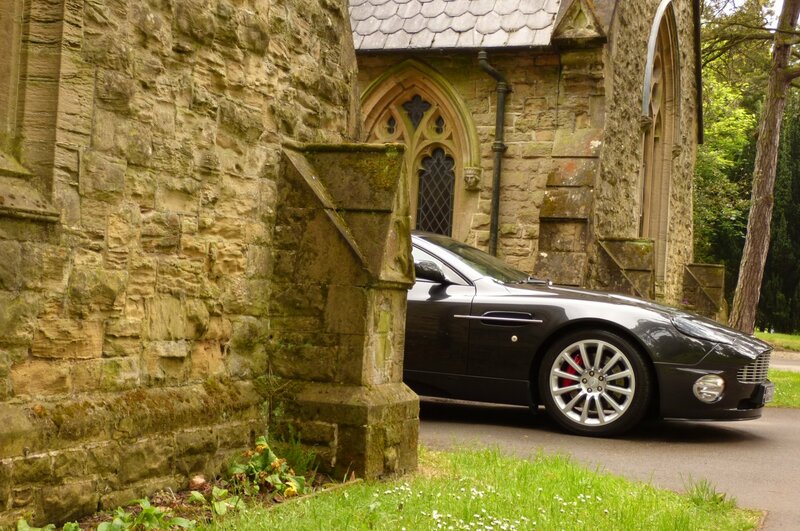 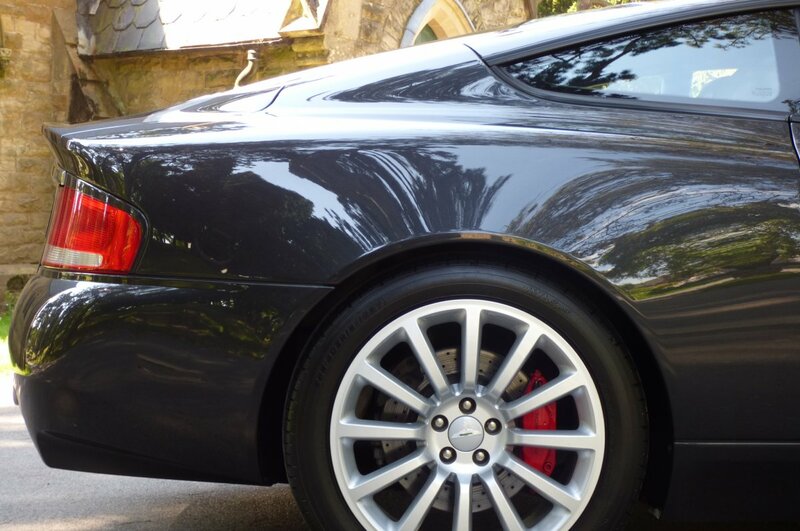 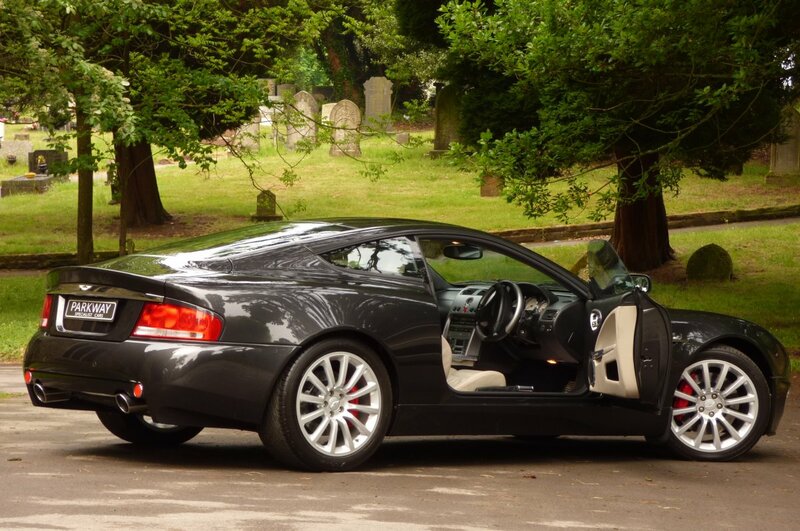 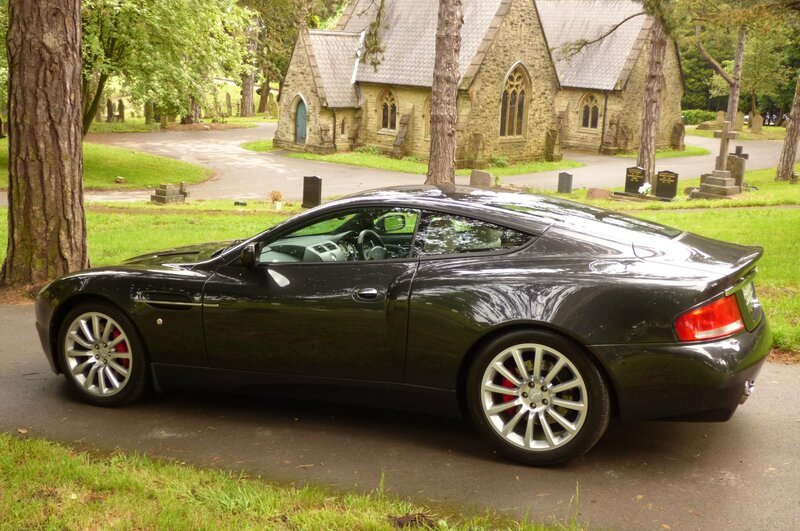 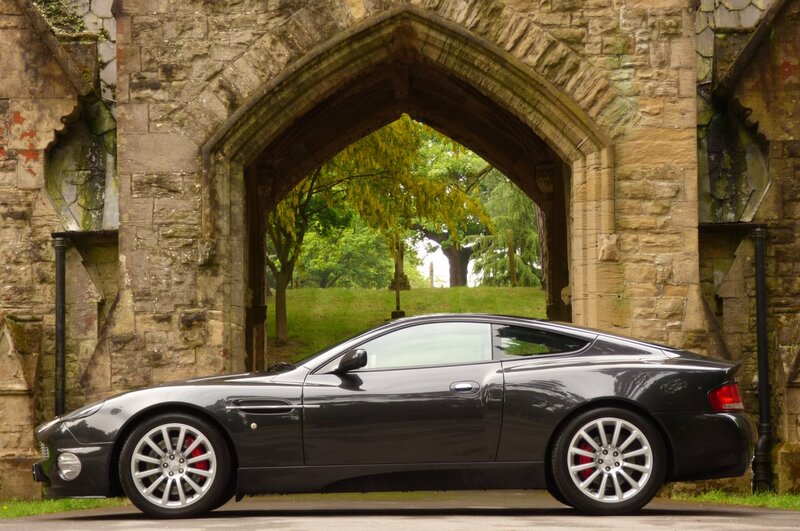 This Example Also Boasts An Excellent Array Of Important Aston Martin Factory Options, Meaning That Every Trip No Matter The Distance, Is Perfectly Controlled And Highly Enjoyable, Time And Time Again. 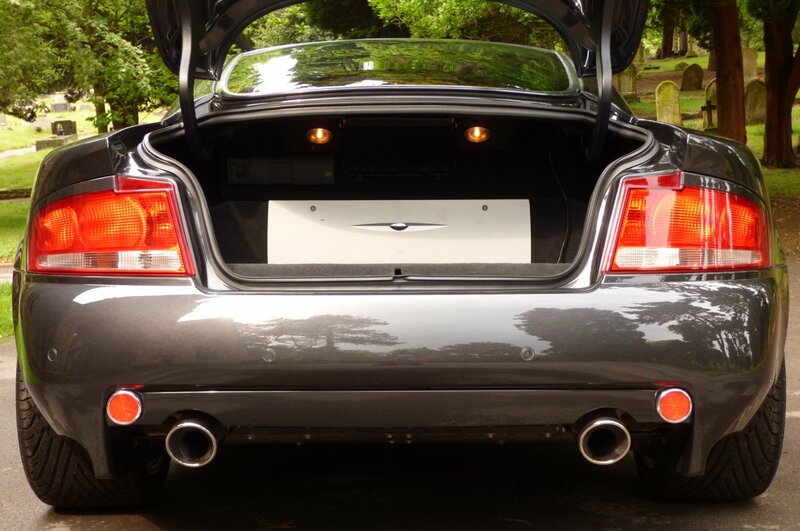 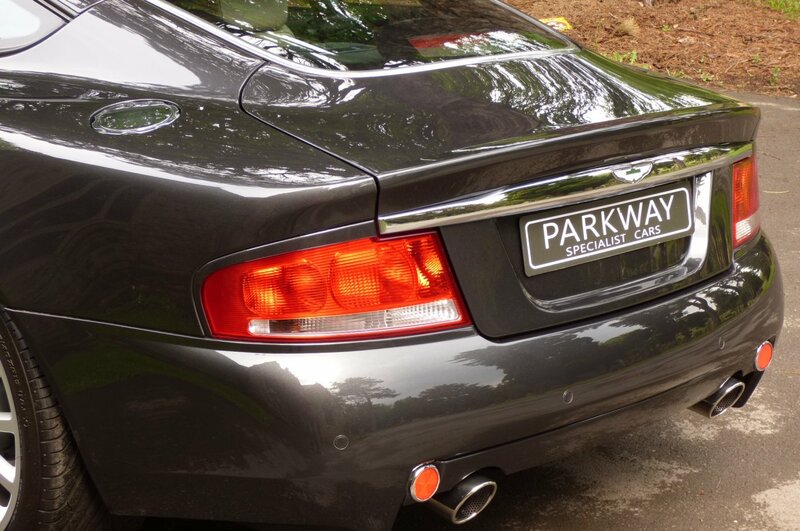 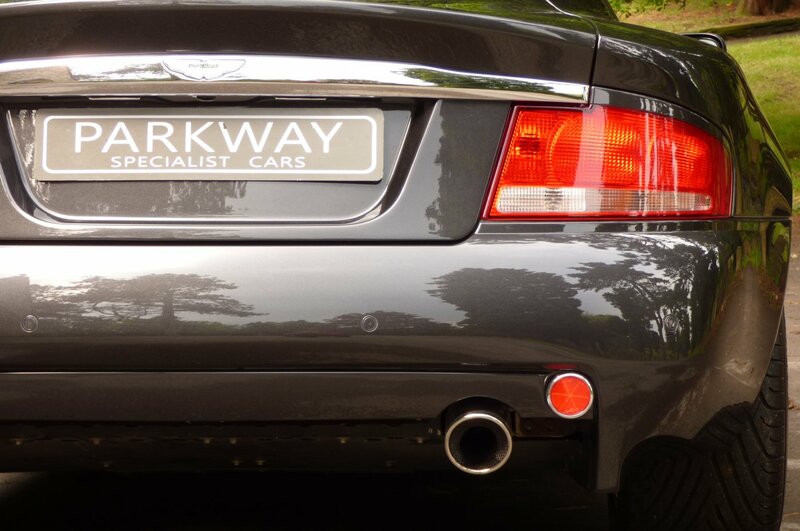 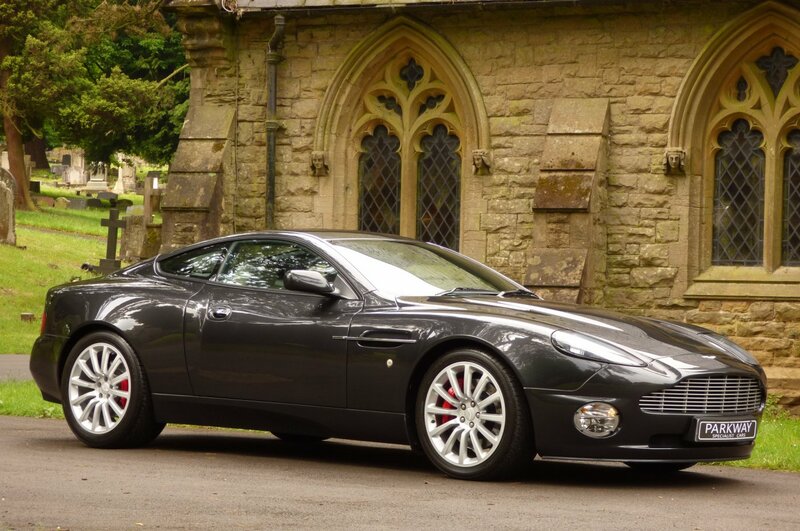 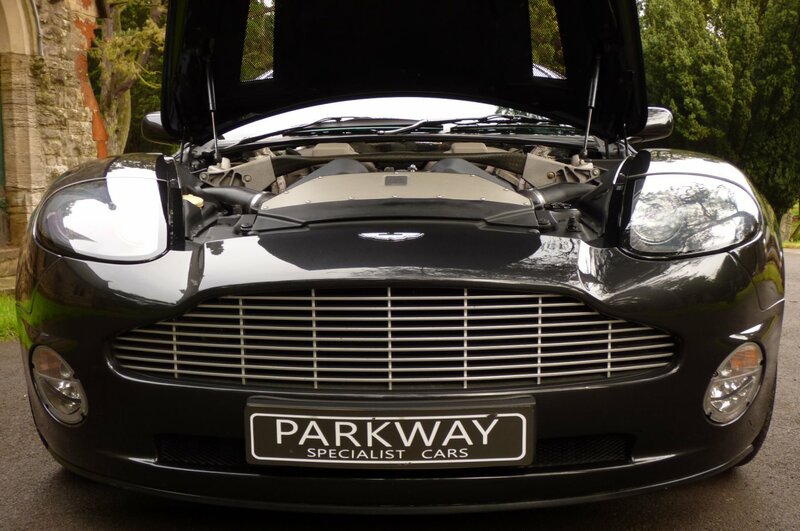 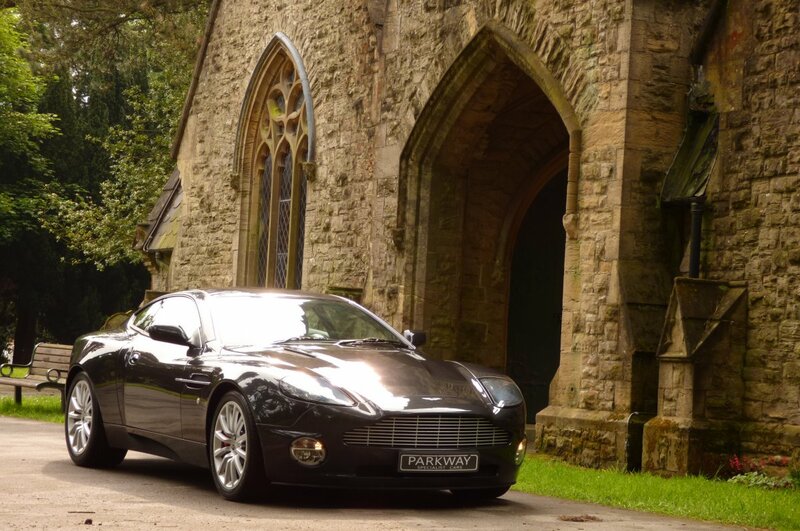 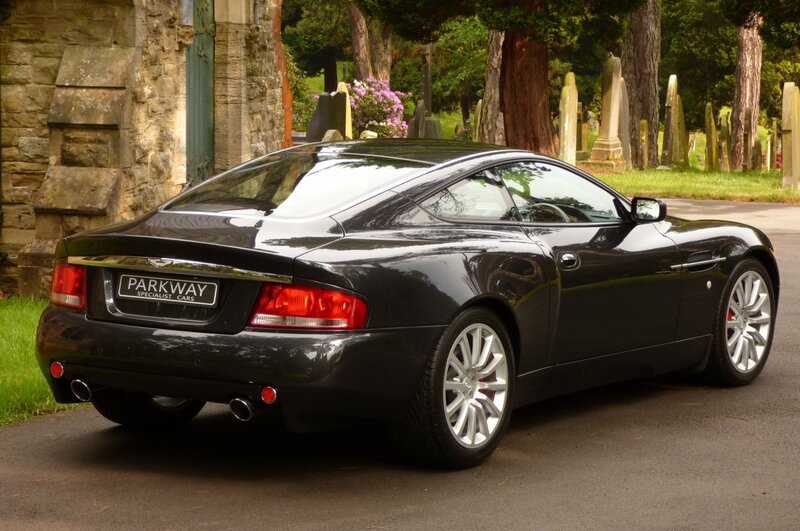 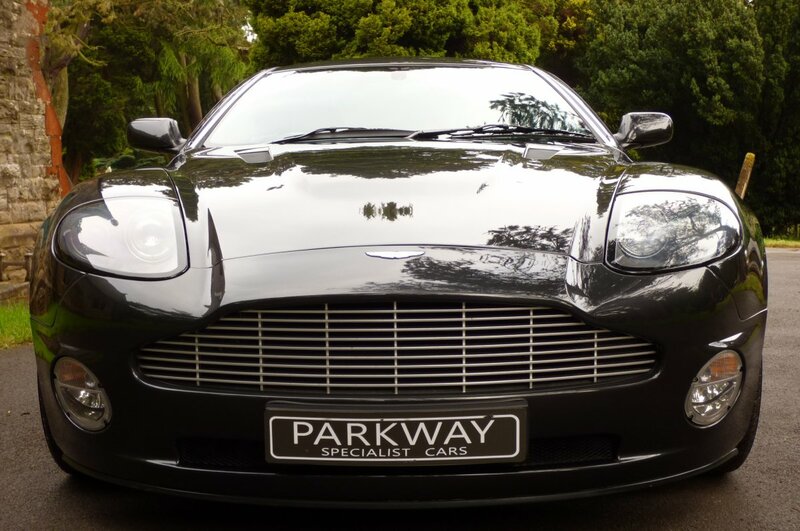 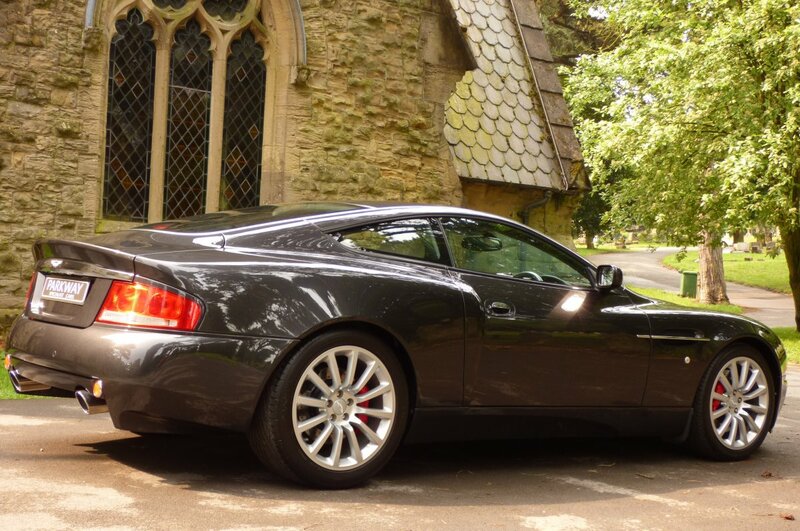 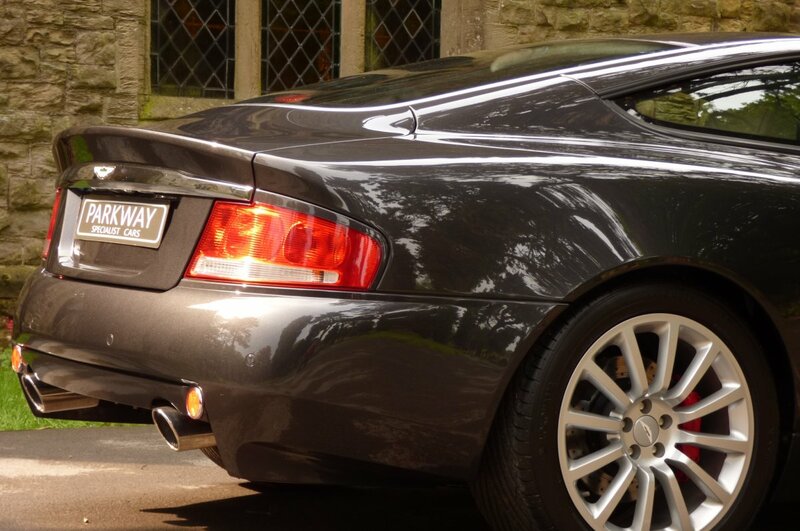 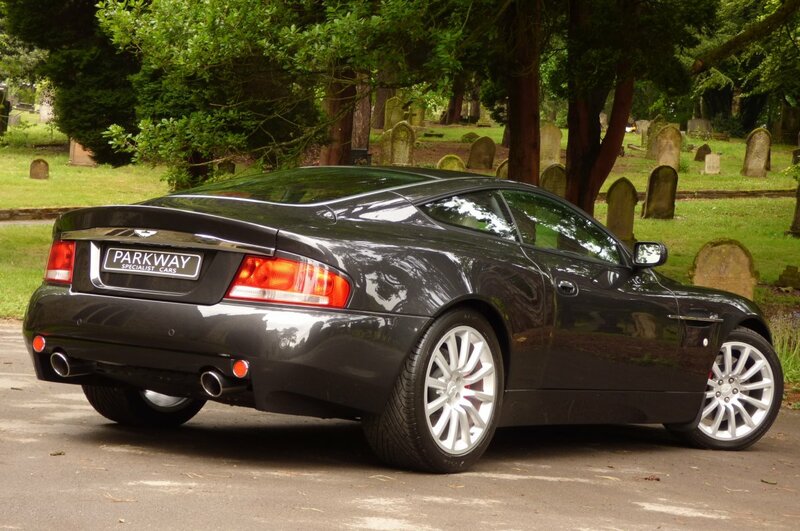 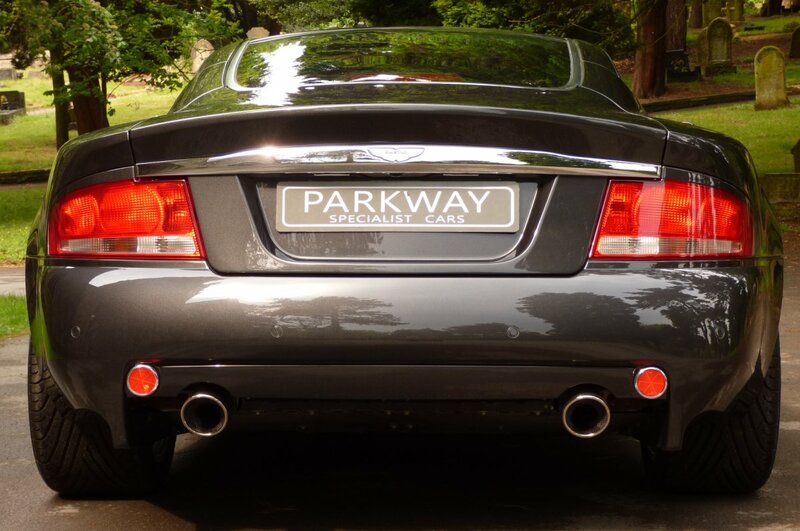 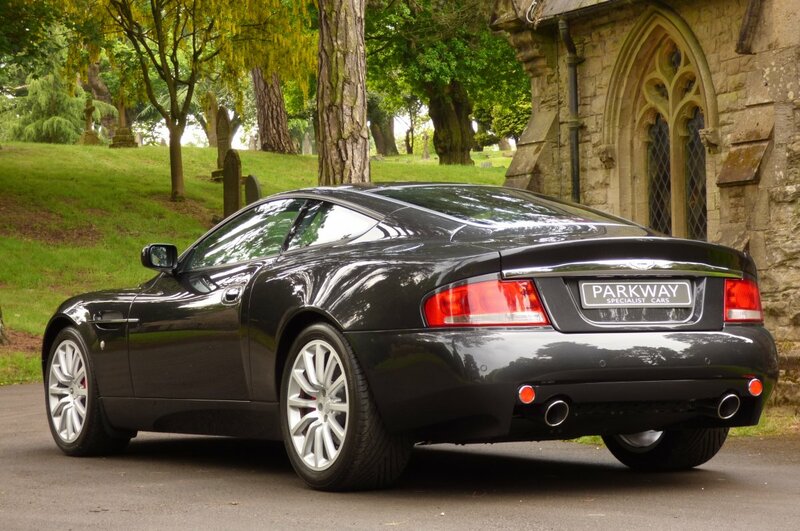 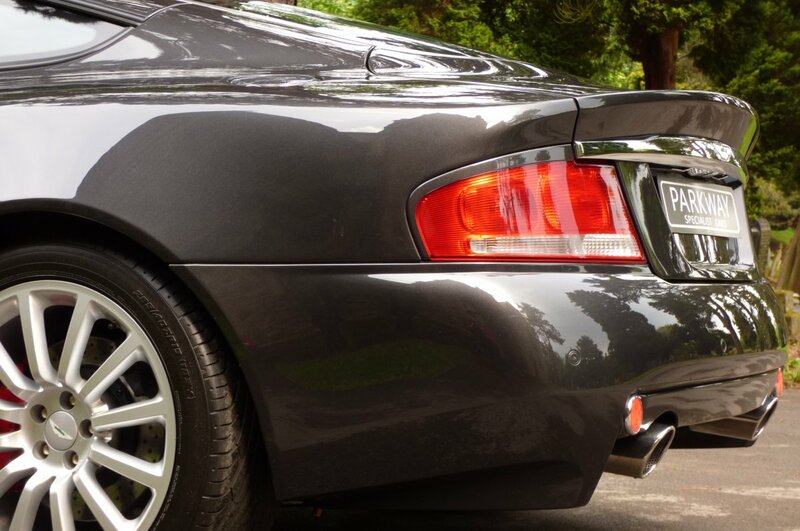 A Striking Example Presented In The Tungsten Grey Fast Track Metallic, With This Exceptional Colour Finish Showcasing The Signature Sculptured Rear Arch Lines, The Dramatic Sill Panels And The Sublime Aston Martin Body Curves. 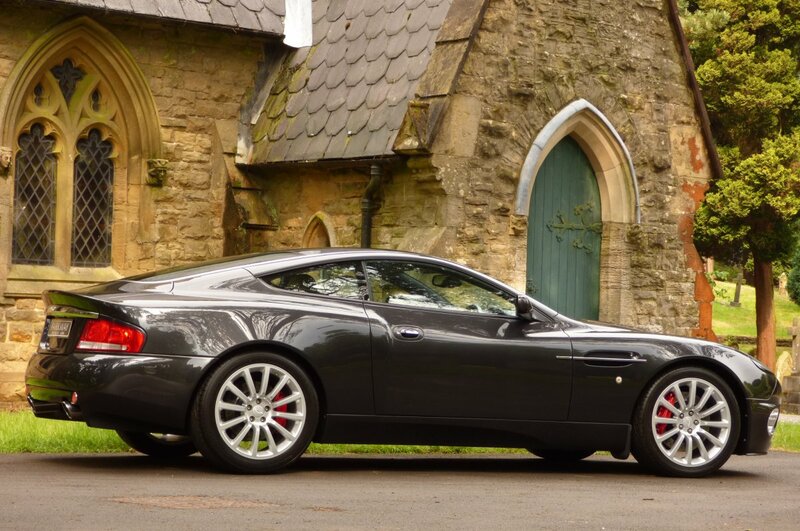 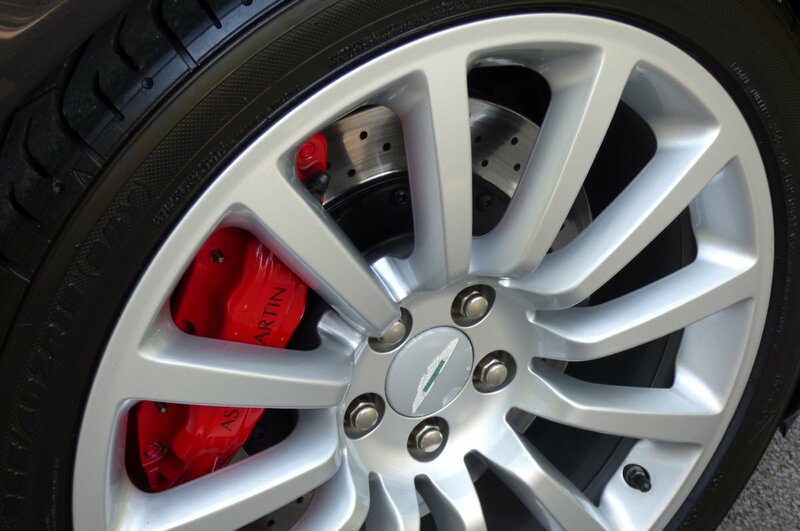 Further Exterior Treats Are Presented With The Unmarked Silver Finished 19" Twelve Arm Alloy Wheels Which All Sit On The Correct Branded Tyres, The Bright Red Aston Martin Embossed Brake Calipers, The Chromed Twin Oval Exhaust Tips, The Chromed Bright Silver Front Grille, The Factory Chromed Door Handle Covers, The Aluminium Look Fuel Filler Cap, The Blackened Hexagon Lower Front Bumper Grille, The Blackened Mesh Bonnet Vents, Further Factory Chromed Exterior Embellishments And Finalised With The Chromed Aston Martin Vanquish Motifs, Which Further Complements The Body. 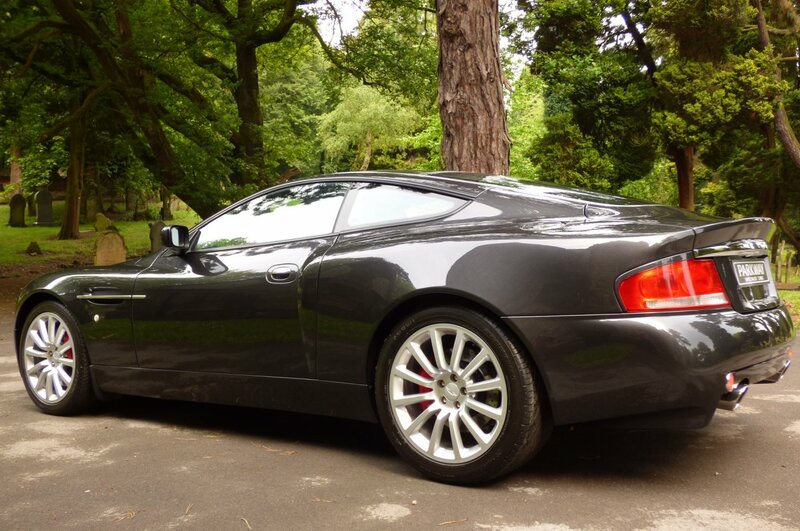 This Remarkable Find Looks Staggeringly Beautiful From Every Given Angle And With The Perfect Past Service Inventory, Would Be Well Placed In A New Or Already Established Vehicle Collection. 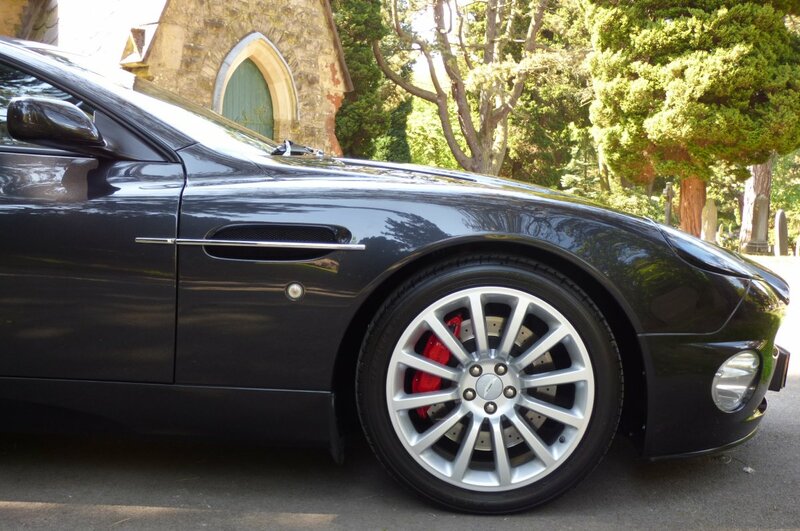 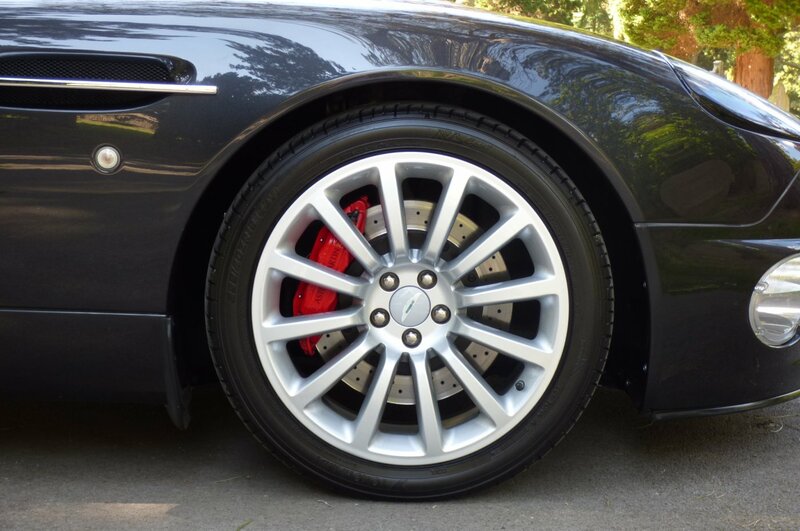 A Fabulously Rare Colour Configuration..
A Stunning Example Offered For Sale With An Excellent Past History Trace, With Factory Options To Include The Dual Zone Climate Control, Unmarked Silver Finished 19" Twelve Arm Multi Spoke Alloy Wheels, The Bright Red Aston Martin Embossed Brake Calipers, Chromed Tipped Exhaust Pipes, Bright Silver Front Grille, Electric Front Seating, Obsidian Black Leather Bound Steering Wheel With Paddle Shift, Heated Front Screen, Variable Heated Front Seating, Xenon Head Lamps, Power Fold Mirrors, Aston Martin Sports Exhaust Upgrade, Aston Martin Linn Sound Package, Aston Martin Steel Pedal Set, Embossed Internal Sill Plates, Rear Park Distance Control, Remote Central Locking With Alarm, Vehicle Tracking Preparation, Aston Martin / Motorola Phone Kit, Six Disc CD System Housed In The Boot, ASM & Sport Modes, Indoor Car Cover, Battery Conditioner And So Much More. 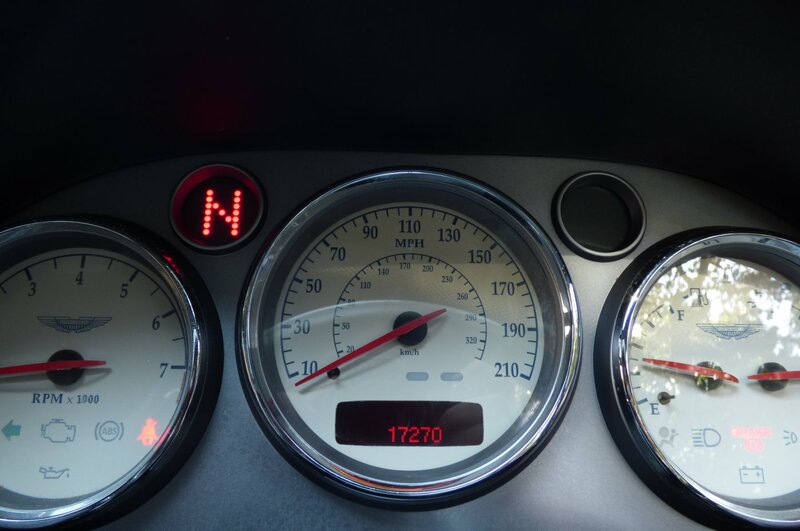 Offfered With The Entire Booklet Pack Set, A Fully Cleared Hpi Report And A Full Key Set.